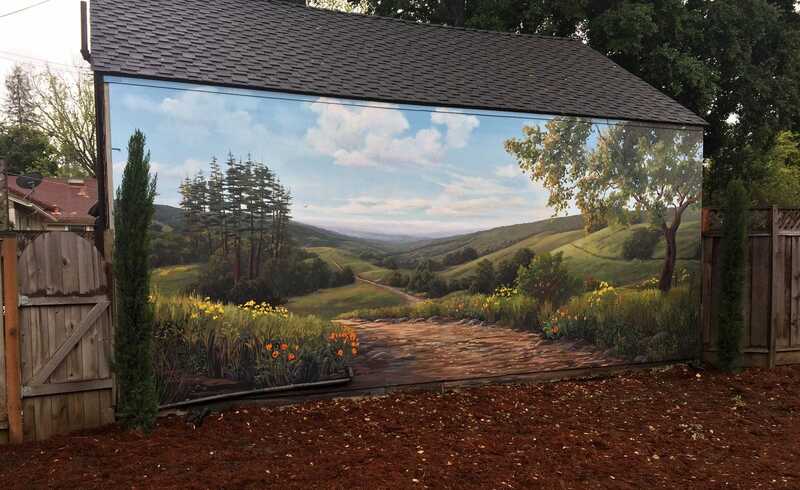 This natural landscape mural of the SF Bay Area Foothills was painted in the backyard of a private residence in Los Altos, CA. The home is arranged with views throughout the house that overlook a narrow yard and the back of their neighbors’ garage. The mural solves this problem by adding visual depth and beauty to what was once an eye sore. The homeowners now love looking out on their gorgeous view of the Bay Area foothills.